Birds are hard to paint. Did you know? 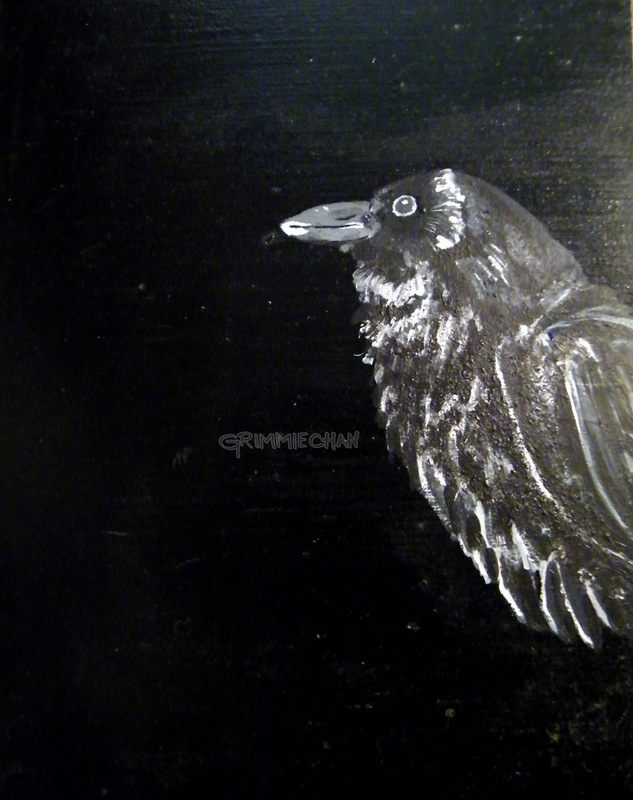 I thought I would do a simplistic painting of a crow, on the scrap wood that we had floating around the house still. This was the last of the scrap boards and I thought a black bird would go nicely with a black board. I didn’t want to do any clean up of the background of the boards. Perhaps because I thought it would be more interesting, but perhaps also because I can be lazy. I thought this would be simple. I thought I would just use white on the black board and a crow would reveal itself. Well, of course I wasn’t happy with that and so grays started to appear in the painting. Then suddenly, subtle blue tones started to work their way in. Satisfied? No, of course not. But I’m not slinging any more paint at this.